Screenplay ideas can come from a million places. You probably have more ideas stashed away than you even remember, stuffed into boxes and notebooks and virtual clip files. You couldn’t possibly have enough time to write all of them. Why do aspiring writers so often choose mediocre concepts? But I have to agree. When you read enough screenplays, you find they start to fall into several broad buckets. Within those buckets, the scripts feel kind of interchangeable. You don’t want to be one of the masses. You want your script to stand out. Sometimes you just feel compelled to write a particular story. I get that. But if you’re trying to break into the industry, you want to be a little more strategic. You don’t want to spend forever working on something only to find out no one’s interested. 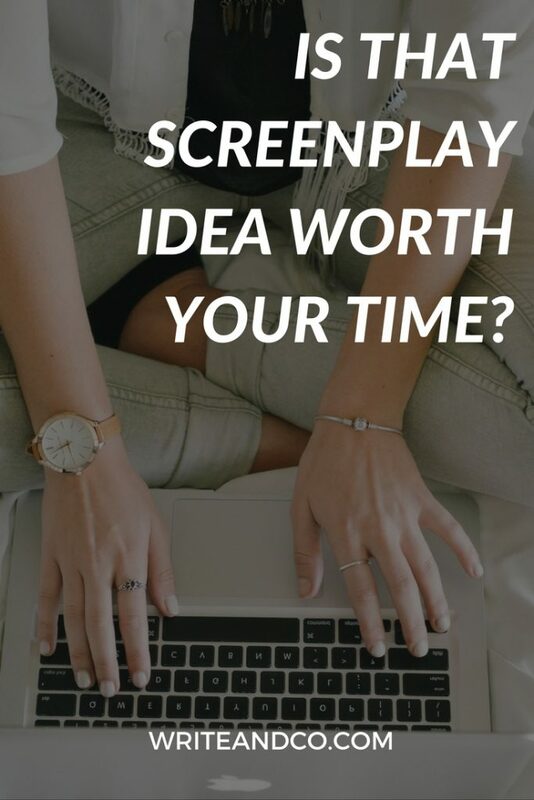 After all the time, effort, anxiety, and agony… when that screenplay is ready to be your calling card… it’ll have an important duty to perform: it has to make a chain of Yes. You present yourself at the threshold of the industry, and each step you want to take to get further inside requires someone to say Yes. Your script will make its way from desk to desk, intern to assistant to reader to assistant to development person, and on and on and on. Making its chain of Yes. And the first Yes? Happens when you have a concept they can’t say No to. Sure. Except if you’re working with a concept that doesn’t grab attention and interest right away, you’re closing a lot of doors before you even get a chance to show what you can do on the page. You have to make a chain of Yes. I know, I know. Your script about your childhood pet, your hilarious hometown crew, or your (heart-wrenching, I’m sure) relationship with your parents doesn’t pitch well — but it’s amazing. The reality is not many people are going to be interested in it. Not yet, anyway. Wait until you’re a bigshot. If you’re not already established as a known entity – as a proven writer in some way – you’re standing at the threshold, waiting for a Yes to let you in. Your concept can get that first Yes. Fine. Then what kinds of concepts get a Yes? + They “bloom” in the mind. I’m not sure where I first heard that description, but it’s true. When you hear a good concept your brain latches on and the concept blossoms without effort into a movie in your head. You just see it. + And yet also immediately give us a clear sense of what kind of story we’ll be in for (familiar). What makes a screenplay idea fresh? This is the part writers often struggle with. What is fresh? One way to look at it is the “Strange Attractor” that Terry Rossio describes. That’s pretty much the ideal, right? I mean, if you can get industry types kicking themselves for not thinking of it first, you’ve got something that will open doors. You could also look at this fresh aspect as the screenplay’s hook. What is a screenplay’s hook? “A hook is the unique and interesting dramatic element that gives rise to your story and everything in it. Every character, every location, every obstacle and reversal is created from the hook and is in service of advancing and expanding the hook. The hero is unable to form memories and therefore has to hunt the killer based on faulty recall and easily misinterpreted evidence (Memento). [or] The cop kills someone and the killer knows about it so the cop can’t arrest the killer without exposing his own crime. (Insomnia). A troubled child sees dead people. A crew of elite thieves steal secrets from your mind. A man wakes up to discover he is the last man alive. A detective prevents murders before they happen. A senile old man travels across the country to collect his prize when he mistakenly thinks he won a lottery. A man discovers he is living in a virtual reality created to imprison humanity. Remember way back at the beginning of this article, when I mentioned the problem of mediocre concepts and blending into the sea of sameness? What’s fresh makes your script memorable. The Strange Attractor is unique and compelling to your audience. Likewise, the hook “creates the conditions for a unique and entertaining story.” Making sure your concept has this unique, hook-y freshness will help your screenplay stand out from the pack. Let’s look at some recent spec sales (from June and July 2016) and see if we can identify the familiar + fresh elements. I deliberately chose examples that were from new writers just breaking in, so we can look at the quality of specs with the type of ideas we’re aiming for. Logline: A famous top cop wakes up from a 20-year coma and gets reinstated to solve the case that killed his old partner, but to help him navigate the unfamiliar world of 2016 he’s paired with his old partner’s son, a risk-averse traffic cop. Familiar? It’s a classic buddy-cop story. As a reader, I have a sense of comfort from knowing what to expect, what type of story I’m in for. Fresh? The main character is a type of fish out of water I don’t think we’ve seen before in this type of story, so it’s a fresh combination. The hook makes this “bloom” in my mind and makes it a script I would remember. It’s a clever idea that no one’s done before, and I can totally see the action-comedy hijinks that will ensue from the character of the 1990’s cop at odds with the world of 2016, plus the odd couple pairing with his new by-the-rules partner. Logline: When an intelligence leak dangerously exposes a covert mission in Afghanistan, a grieving CIA operative and his translator must find their way out of the desert, outgunned and hunted by elite special forces. Familiar? Yep, we know man-on-the-run type stories like the Bourne franchise. Fresh? The specifics – a grieving CIA operative, traveling with his translator, being hunted by elite special forces – to me, these don’t get the highest marks for uniqueness. However… there’s an important detail not in the logline: This one’s based on real events. That adds an element of… let’s call it psychological spectacle. It makes you take notice – That crazy story? That was true??? The concept might be less “strange” but that true story element is definitely an attractor. And the extreme conflict in this premise makes it bloom in my mind: the CIA operative, though presumably well-trained, seems at a real disadvantage since he needs a translator in the first place, he has to protect the translator he’s with, AND they’re “outgunned and hunted by elite special forces.” I’m already at the edge of my seat. Science Fiction. Acquired by Amblin Entertainment. Logline: In the midst of an alien invasion, a freshly divorced couple must survive a dangerous real-time journey on foot from downtown Atlanta to the suburbs, where their young children are home alone. Familiar? Getting from Point A to Point B in a specific window of time, against a backdrop of some kind of disaster, feels familiar; I immediately understand the shape of this story. Fresh? To me the freshest element in the mix is the “real-time journey”. That sounds compelling, and makes me want to see how it plays out. It’s a hook that will inform the way the story is told, making it unique amongst other stories that could be similar. The other elements – an alien invasion, a freshly-divorced couple who must make the journey together – even if they’re not individually unique, the combination of them feels fresh and also helps the concept bloom in my mind. With all of those elements in play, I can see this as a movie; I get it. So when you’re vetting your screenplay ideas and trying to decide which one to write next, that’s the target you’re aiming for. Familiar enough that we easily understand what kind of movie it is, elements that bloom in the mind so we see the movie, and fresh enough to pique interest and make your screenplay the one they remember. 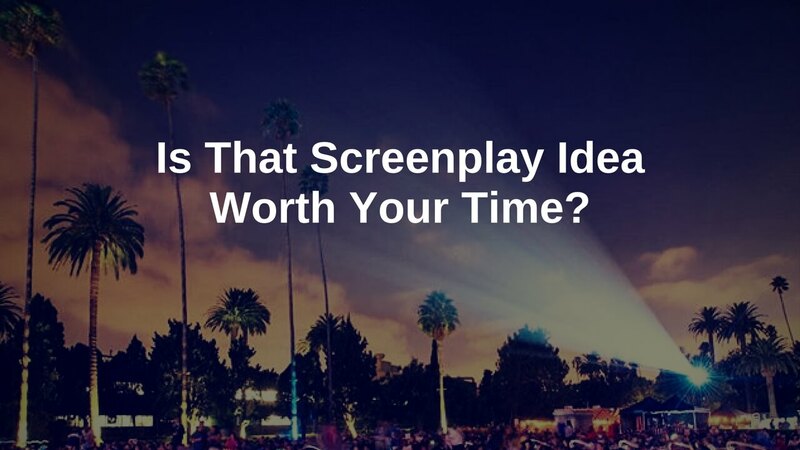 How does your screenplay idea stack up? Thanks, Jocelyn! I always need specific examples — both to help me understand an idea, and to help me test it to see if it really applies. Glad you find the examples useful too! Hello, I just came across you on a Save the Cat e-mail. Good work, thank you for doing this. Thanks, Garth! So kind of you to say!